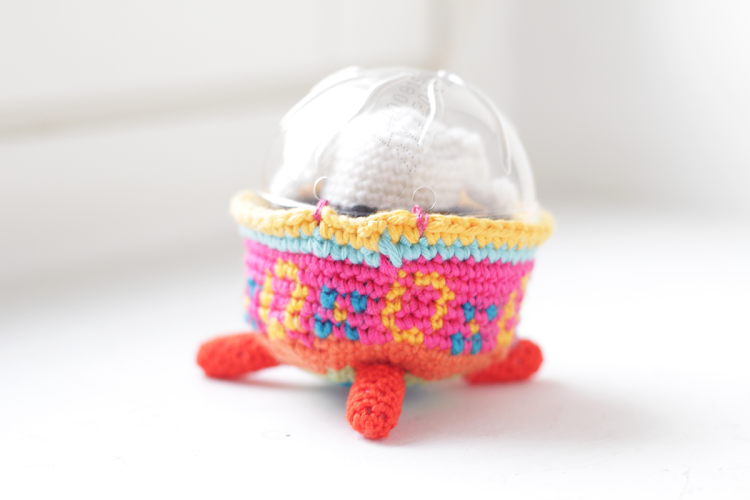 Easter is approaching and we wanted to try something very different this year, that is why while daydreaming I got the idea of making an Easter Egg Spaceship. 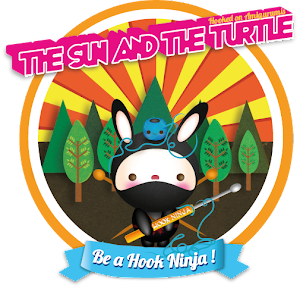 The adventurous Bunny took his spaceship and came to earth to see how people are, coincidentally he arrived in Easter time and people confused his sophisticated vehicle with an Easter egg. He got invited inside and ate as much as he could! He liked it so much that he actually stayed. Now his Spaceship is the sensation in the hood. I made a couple of sketches and started creating it. 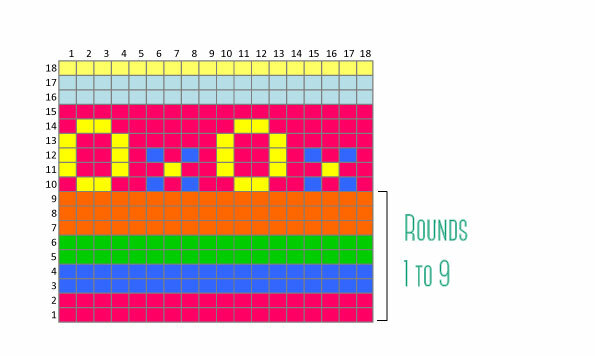 This time you will be using Jaquard technique, which means creating a graphic with your yarn. 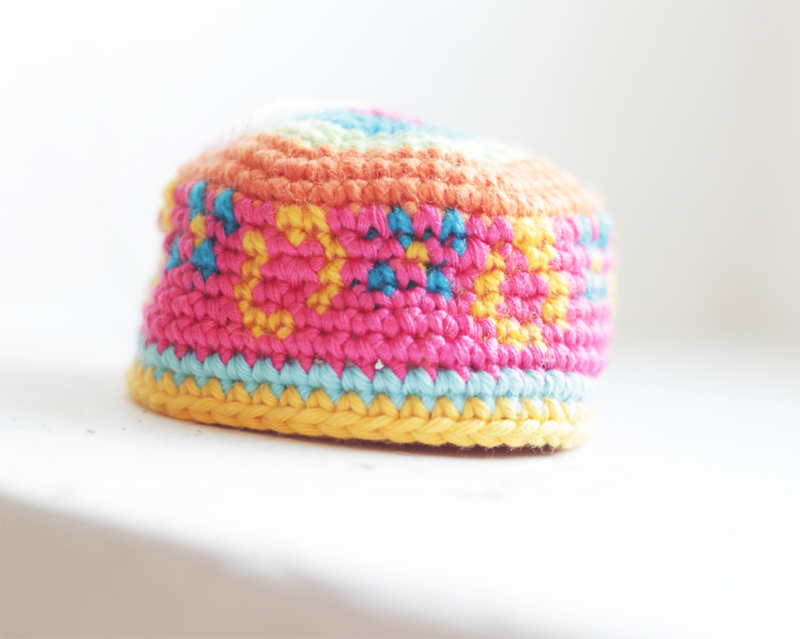 It is very similar to Fair Isle technique. 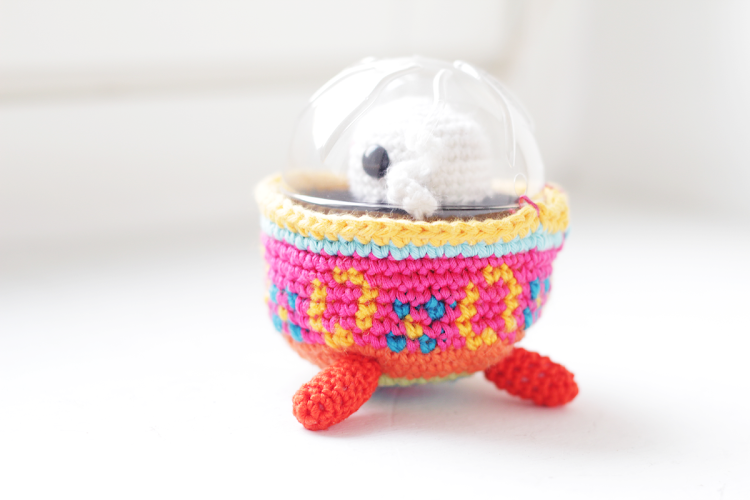 The Amigurumi patten is hopefully easy to follow. 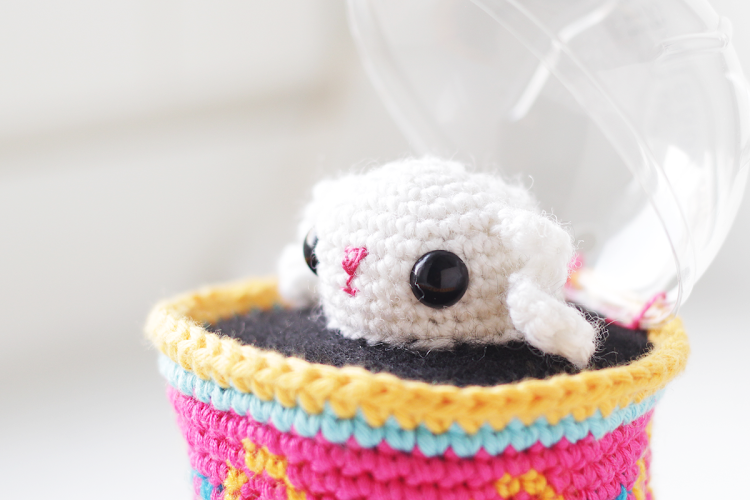 You will learn how to follow an advanced pattern as well as how to crochet with different colors. 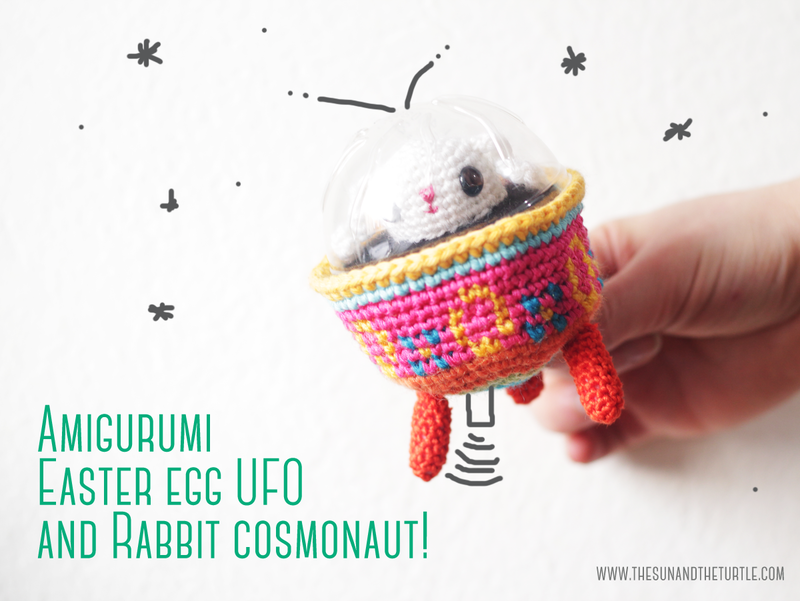 In this pattern you will make use of recycled materials and learn how to use felt in Amigurumis. 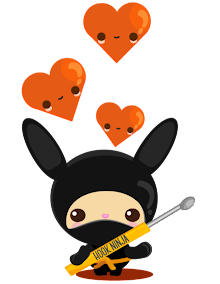 You can use this pattern to create your own handmade safe toys, key chains, bag decorations, nursery decorations or Easter decorations. Did you know that Egyptians, Persians, Phoenicians, and Hindus believed that the world began in a big egg? The eggs are a symbol of rebirth and new life, therefore it is widely used during Easter celebrations. Baby blue yarn 4 mm. A Hook of 4 mm. Cut a circle in carton that measures about 7,5 cm in diameter. Place it on top of the filled egg, adjust it until it fits. 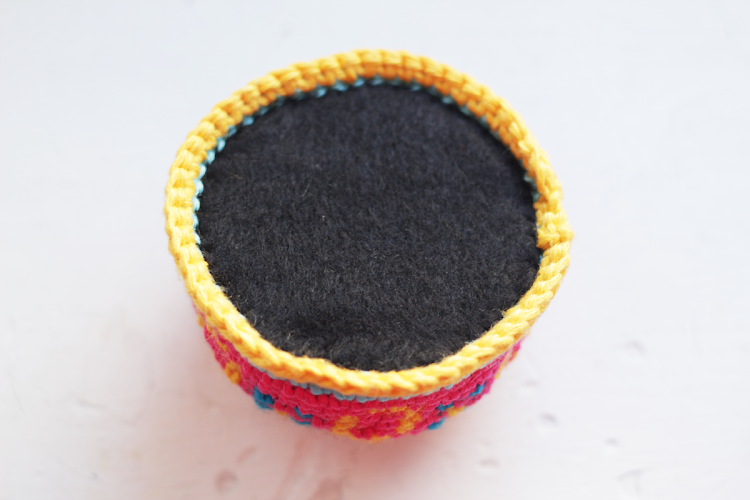 Once you are sure that the carton circle fits perfect in the half egg, take the piece of black pressed felt and place your carton circle on top. Cut a similar circle but make it 1 to 2 cm bigger. 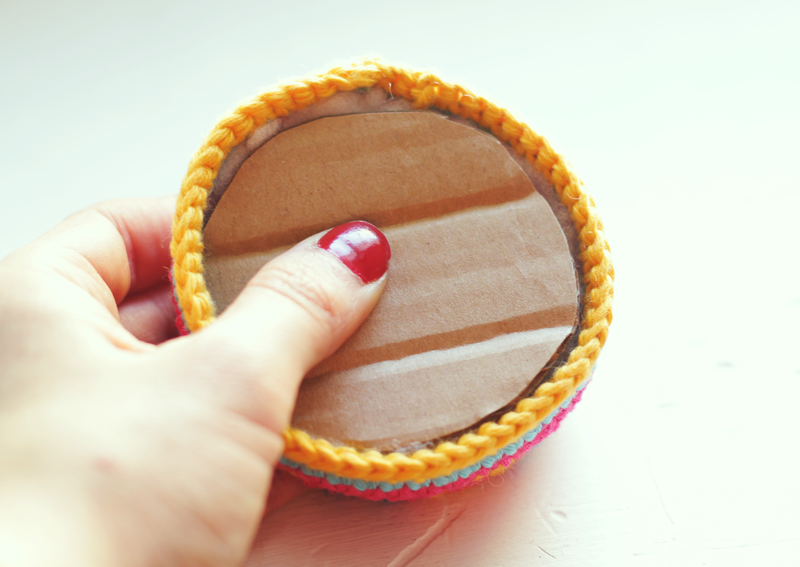 You can glue or sew it to the cardboard piece. Place the black circle on top of the half egg and sew the sides to the egg. Sew them to the egg with a tapestry needle. For the dome I recycled the top of an ice cream. 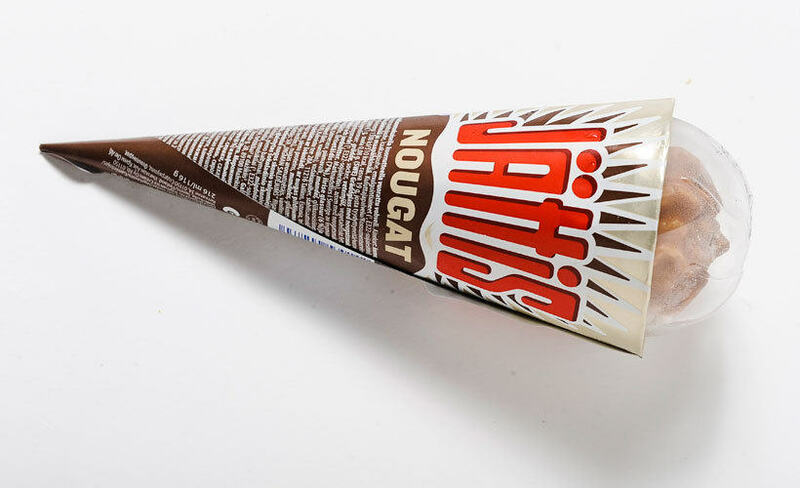 The ice cream I used is called Jättis but I am pretty sure you will find a similar one in your home country. Some yogurts and other products have similar shapes. 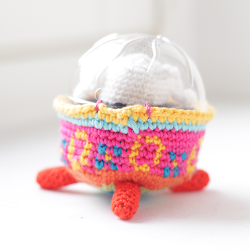 sew it to the back side of your half egg. We will only make the head. And then sew it to the black surface. This way it will look like the bunny coming through the surface. Place the eyes and embroider a little pink mouth. Ch 14, sc in each st, fasten off and sew them to the head. 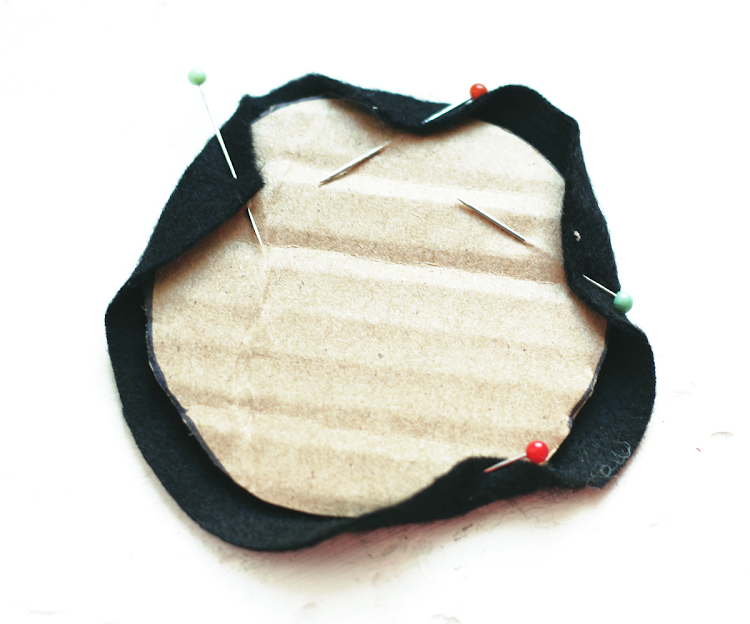 Sew the Bunny on top of the black felt with matching thread. 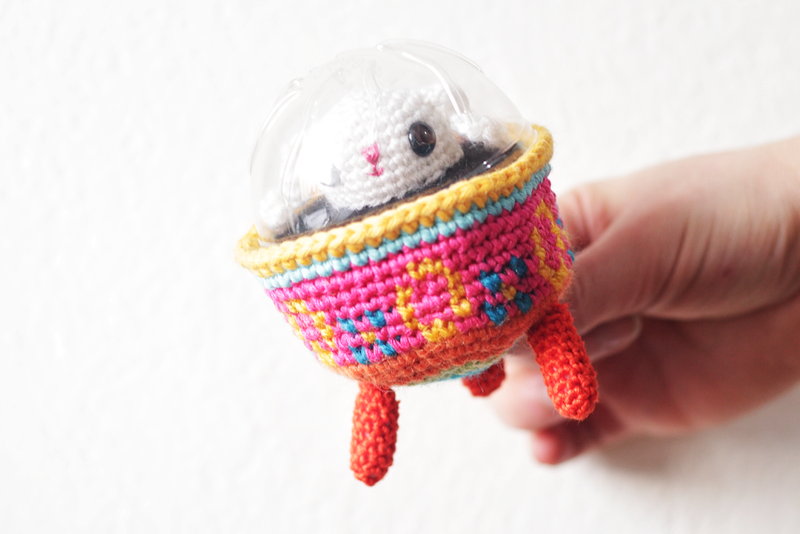 We Hope you enjoyed making this fun Amigurumi. Comment below and tell us what you think of this tutorial.